For the first time in more than half a decade, the Phillies have something to play for in mid-September. The club opens a crucial four-game set in Atlanta on Thursday, trailing the NL East-leading Braves by 5 1/2 games with 11 left to play. As the baseball gods would have it, seven of those 11 games are against the Braves. 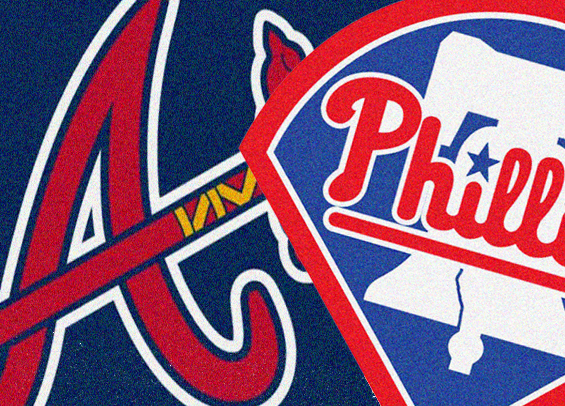 It'll take a strong showing in Atlanta for the Phillies to keep their postseason hopes alive. Anything less than winning three of four essentially puts an end to the season. The margin of error at this point is nill. The Phillies arrive in Atlanta riding high, securing a series win over the Mets thanks in part to a 4-0 victory on Wednesday night at Citizens Bank Park. "We won two series straight, that feels good," Phillies manager Gabe Kapler said afterward (see video). "We have a job to do in Atlanta. We're prepared for it, we've been thinking about it quite a bit. We know their team, they know ours, so we're ready." The Braves hold an advantage in the season series with the Phils, winning seven of 12 contests. The two clubs last met back in May with Philadelphia taking two-of-three at Citizens Bank Park. "I think we know that we need to win baseball games and I think that's as simple as it gets," Rhys Hoskins told reporters following Wednesday's win. "We're in a pretty unique position, an exciting position that doesn't happen all that often. As a competitor, it's really all you can ask for, (to) control your own destiny." Vince Velasquez will start the series opener for the Phillies. In four starts this season against the Braves he's 0-4 with a 7.41 ERA over 17 innings of work. He'll likely have a short leash Thursday though as Kapler has a stocked bullpen and can play specific matchups. The Braves counter with right-hander Kevin Gausman who has pitched extremely well since joining the club as a trade deadline acquisition. He's 5-2 while with the Braves over eight starts, pitching to a 2.61 ERA.